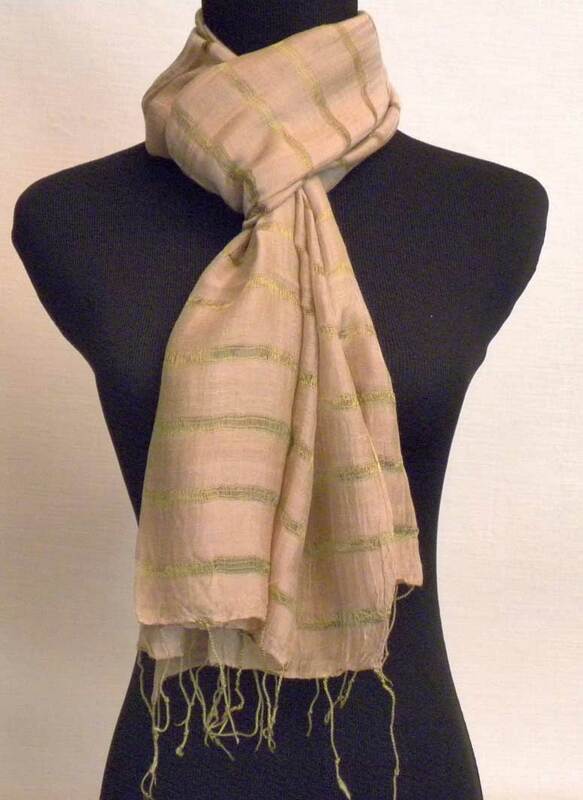 This beige raw silk/hemp blend scarf is a classic accessory. 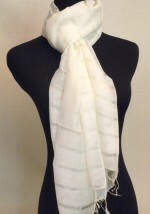 The scarf is casual yet stylish. The material is remarkably soft and so lightweight you won’t even know you have it on. The colors are very neutral and combine well with many other colors. 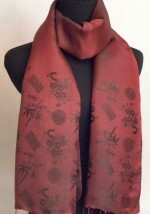 This scarf will be a wonderful addition to your wardrobe. It’s so easy to drape around your neck yet will add so much to your outfits.